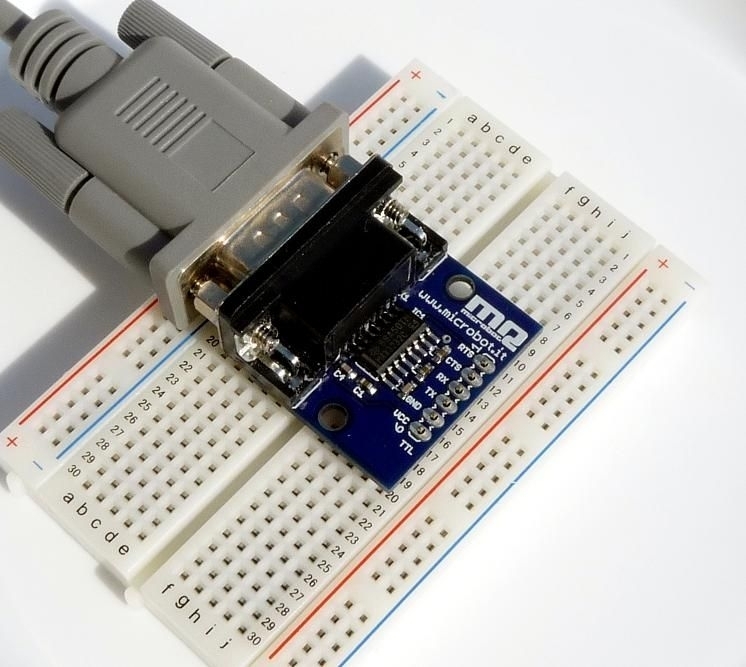 This board is usefull to connect your PC to any digital board that uses a serial port with 3.3V or 5V level. 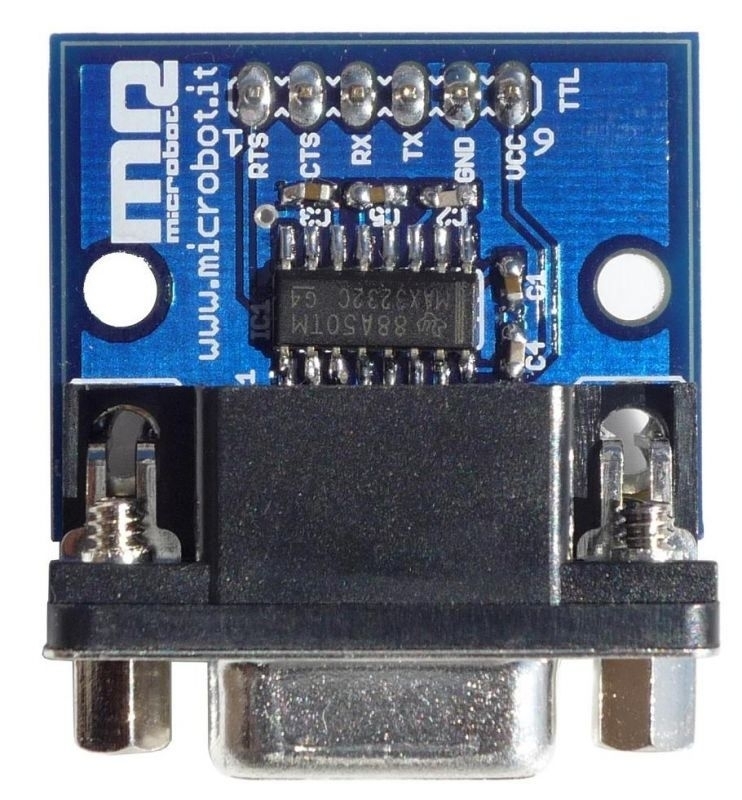 Using a MAX3232C transceiver, this serial adapter can operate with 3,3V and 5V digital signals (it also accepts 5V logic inputs with 3,3V supply). 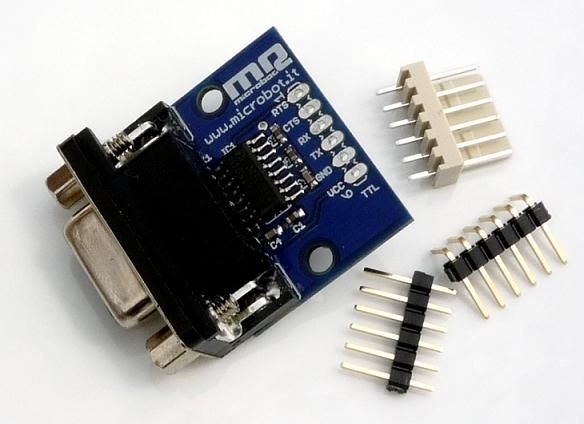 It meets the requirements of TIA/EIA-232-F and provides the electrical interface between an asynchronous communication controller and the serial port connector mounted on Pcs. This device operates at data signaling rates up to 250kbit/s, and it has a ±15kV ESD protection. Besides TX and RX signals, CTS and RTS are also available for handshaking procedures. The board is furnished with 3 different types of connectors; this gives you the possibility to interface your PC with different kinds of peripherals.